J.W. Winco 50.1-HF-13 Retaining Magnet - 13mm Dia. J.W. Winco 50.1-ND-13 Retaining Magnet - 13mm Dia. J.W. Winco 50.1-SC-13 Retaining Magnet - 13mm Dia. J.W. Winco 50.1-HF-16 Retaining Magnet - 16mm Dia. J.W. Winco 50.1-ND-16 Retaining Magnet - 16mm Dia. J.W. Winco 50.1-SC-16 Retaining Magnet - 16mm Dia. J.W. 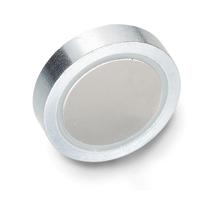 Winco 50.1-HF-20 Retaining Magnet - 20mm Dia. J.W. Winco 50.1-ND-20 Retaining Magnet - 20mm Dia. J.W. Winco 50.1-SC-20 Retaining Magnet - 20mm Dia. J.W. Winco 50.1-HF-25 Retaining Magnet - 25mm Dia. J.W. Winco 50.1-ND-25 Retaining Magnet - 25mm Dia. J.W. Winco 50.1-SC-25 Retaining Magnet - 25mm Dia. J.W. Winco 50.1-HF-32 Retaining Magnet - 32mm Dia. J.W. Winco 50.1-ND-32 Retaining Magnet - 32mm Dia. J.W. Winco 50.1-SC-32 Retaining Magnet - 32mm Dia.